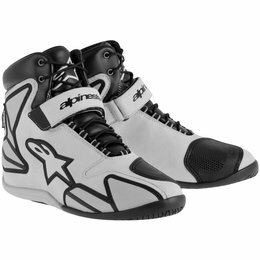 The world’s most technologically advanced and protective motocross boot, the Tech 10 offers unrivalled race-winning performance to moto riders who demand nothing less than the best. 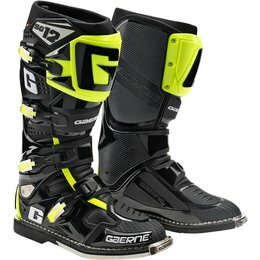 The Limited Edition ‘Liberty’ Tech 10 fuses all the performance innovations of the iconic Tech 10 with a unique color combination. 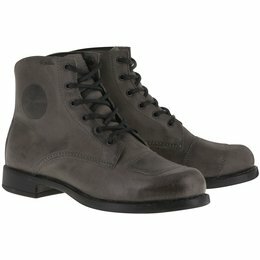 The result is a boot that not only knows its history, but isn’t afraid to make some. 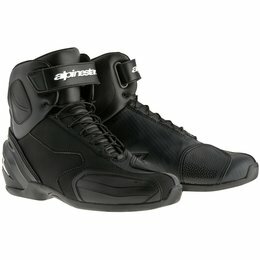 Sometimes we have to look back to move forward. 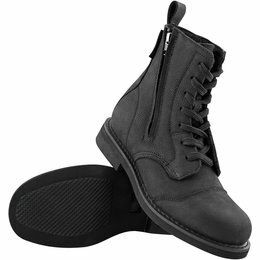 The Retrograde boot is a prime example of this philosophy: classic silhouettes re-imagined using modern technology. 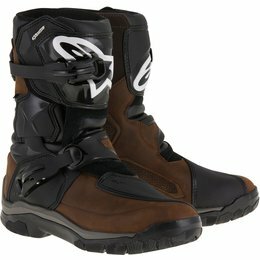 A full-grain leather upper featuring a stamped alloy shin plate provides true moto legitimacy, while a full-length rear zipper provides ease of entry. 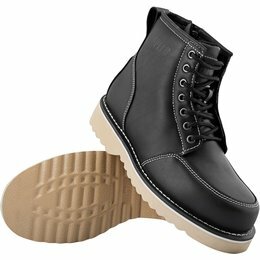 Internally a D30 insert and axialmetric steel shank do the rest. 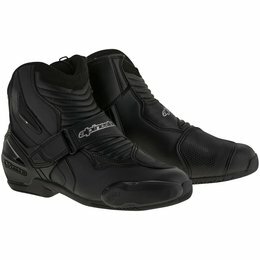 For getting around in style, in town, or on the road. 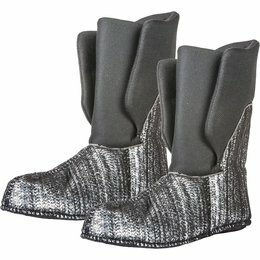 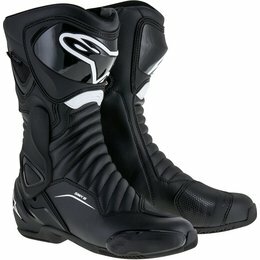 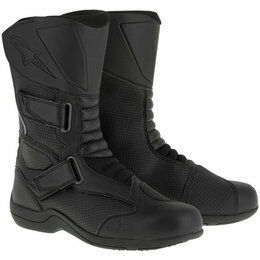 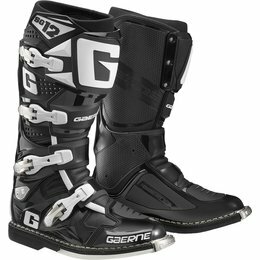 RST is pleased to introduce a new motorcycle boot for men: the Pro Series Race boot. 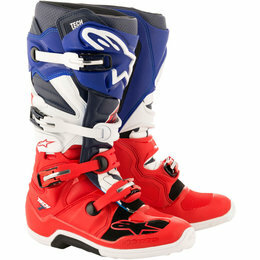 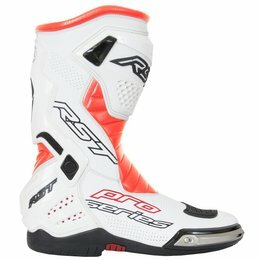 With hours and hours of testing, RST believes they have created the best race boot! 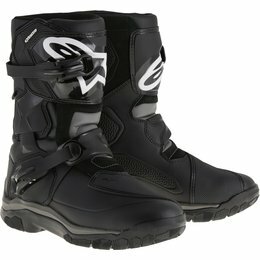 Forming part of Alpinestars' SMX-1 range of class-leading, low-cut performance riding boots, the SMX-1 R incorporates a host of technical innovations for improved levels of comfort, fit and durability. 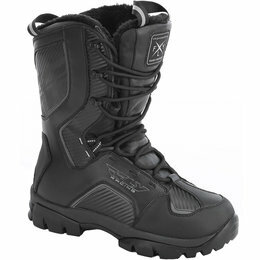 Constructed from a lightweight and abrasion-resistant microfiber upper and is reinforced with strategically positioned TPU protectors, the SMX-1 R features an evolutionary new rubber compound sole with superior grip patterning for excellent grip both on and off the bike, while the accordion flex zones give support and control regardless of your riding position. 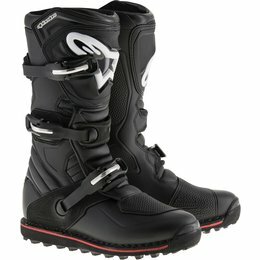 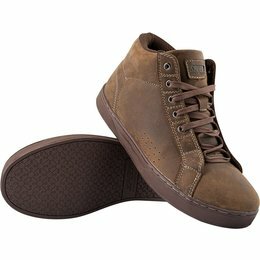 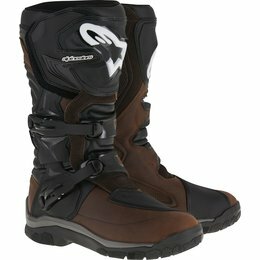 An excellent addition to the Oscar by Alpinestars footwear offering, the Twin Drystar is 100% waterproof with a host of protective features, such as reinforced toe box, heel counter and ankle dual density ankle protectors, as well as Alpinestars' exclusive oil-resistant rubber compound sole with grip pattern design. 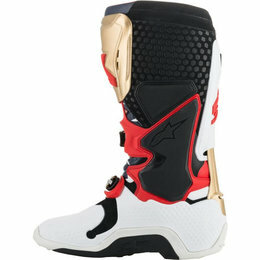 The ideal fusion of Alpinestars' heritage with the very latest in footwear technology. An aggressively profiled road riding boot, the SP-1 is constructed from a superbly lightweight microfiber and incorporates class-leading protective features. 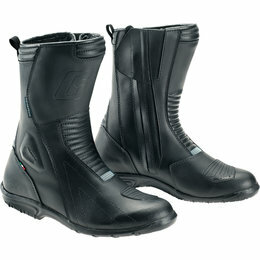 Velocity meets versatility in the Fastback waterproof shoe. 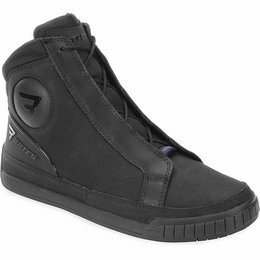 The sleek lines of the Fastback feature a waterproof and breathable membrane for all-weather performance, while external TPR protectors and a shank reinforced sole provide assured protection for the city streets.